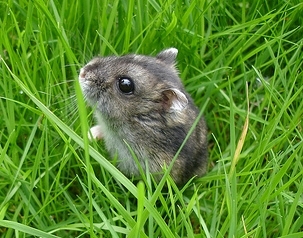 Children love hamsters but need to be supervised when playing with and caring for them. 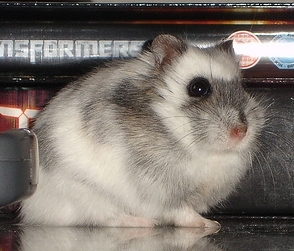 Some hamsters are loners and other enjoy company so you should find out whether you can keep two hamsters in one cage. Illness progresses quickly in hamsters so you should have a relationship with a vet who specializes in small animals and take your pet to him immediately if you suspect your hamster is ill.
Hamsters are nocturnal and may disturb you at night if kept in the bedroom. 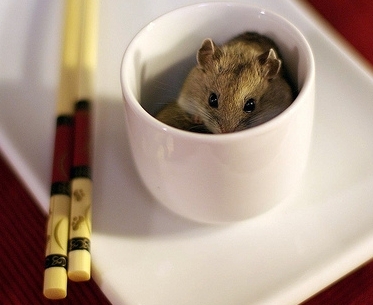 A hamster needs a cage with a secure latch, otherwise he will escape. Hamsters don’t like being held and may bite when picked up. Hold them gently and don’t take them out of the cage when other animals are in the vicinity. 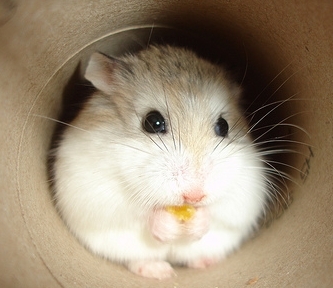 A hamster’s teeth are constantly growing and need to be ground down by chewing. Provide chewing toys such as a wooden block.